Cream with peeling action, regenerating skin, depigmentation. The Dermamelan is a cream with peeling action, skin regenerative, depigmenting, which acts on the hyperpigmentation disorders of melânic origin: the melanosome. It inhibits the melanogénese, interrupting the production of melanin during a long period of time, during which, the exfoliation and regeneration of the cells of the skin stratum corneum (outermost layer) remove deposits of melanin. This cream can be applied singly or, as maintaining the dermamelan treatment (made in medical office or aesthetic). The Dermamelan Treatment was developed to achieve the highest level of efficiency with greater tolerance. To ensure its effectiveness it is essential to ensure a correct application in cabin/Office aesthetic and its continuation at home (Dermamelan treatment). The Dermamelan Mesoetetic Protocol should be done judiciously to ensure effectiveness of approximately 95%. The appearance of melânic stains is mainly due to the solar exposure and the degeneracy of the melanin production mechanisms of the skin. The use of sunscreen with high protection index - SPF50 - during the treatment is key to ensure its effectiveness and avoid the hyperpigmentation stimulation. In the case of an intensive depigmenting treatment, the use of the Dermamelan is totally contra-indicated in the summer, therefore it should start in seasons where sun exposure is lower. Using the Dermamelan, severe flaking may occur in the first and second weeks, there may be stinging, redness, tenderness to the touch and periorbital edema. 2nd and 3rd month: apply 2 times a day. 4th to 6th month or 12th month: apply 1 time per day at night. Both the Cosmelan 2 as the Dermamelan Mesoestetic responses very effective in the treatment of pigmentary stains. - Dermamelan is recommended for melânic stains with multiple recurrences after other treatments such as the Cosmelan. 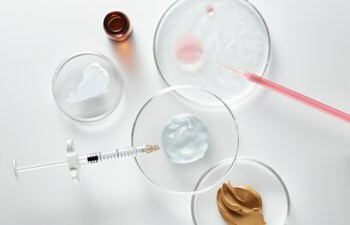 The composition of the two creams is equal, differing in its concentration, in which the Dermamelan's peeling effect is stronger and more aggressive than the Cosmelan 2. This can only be applied after medical advice.